Capitalism, by making the master’s truth its agent, tries to lock in a particular social organisation of mastery, affiliating itself to the master’s prior establishment of that organisation. Science, by making its agent the production of the master in anticipation of a quarter-turn, pairs itself with the discourse of the master as its particular personal realisation. The movement is dependent on the master’s relation of work to production, taking up this relation through an identification that seeks to emulate the master’s way of being. Finally, politics creates a production that is in the place of the master’s truth, putting its way of being in competition with the master. The result is either a fight between them or a flight from the master’s presence. 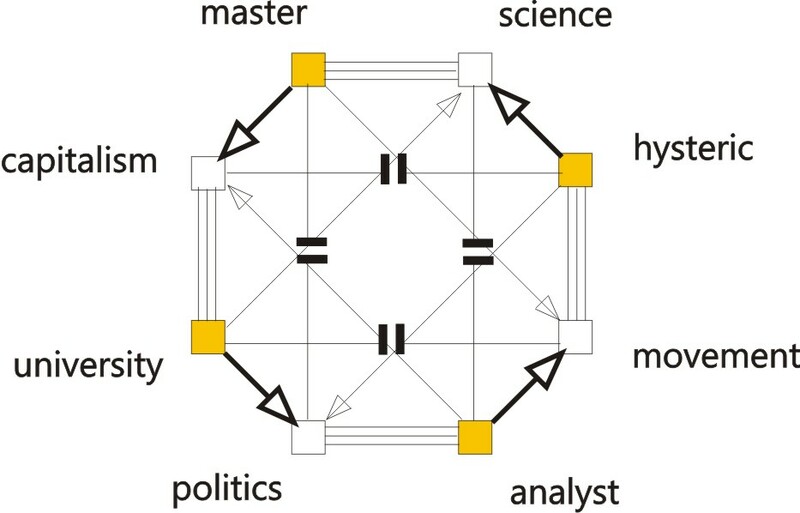 This economy functions like a complex molecule, underpinned by the four quadrants defining the way an enterprise inscribes itself. This underpinning supports the multiple identifications of subjects in ways that mutually support each other. Each mode of identification can be represented by a different kind of voice that provides insight into the way the identity of the enterprise itself is sustained. This follows the approach for deriving the perverse discourses used by Laurent Chaine in his paper on Efficastration. Lacan’s acronym in French is SAMCDA (Societe d’assurance mutuelle contre le discours analytique) which, in French, sounds close enough to sancta to prompt the “sancta simplicitas” in Television. 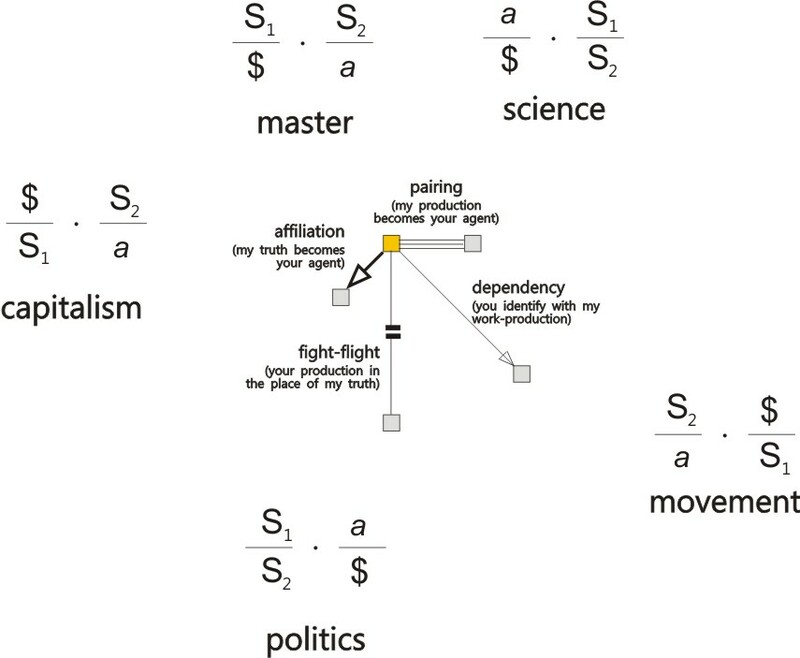 This dependent relation is shown by Laurent Chaine as that existing between the discourse of the University (Efficiency) and the discourse of Science (Efficacy), the former being a mode of subjectivation, while the latter is a mode of subjection. The relationship of affiliation is the sophisticated relation of a subgroup to a developmental leader in which the subgroup is trying to articulate what the leader ‘means’. 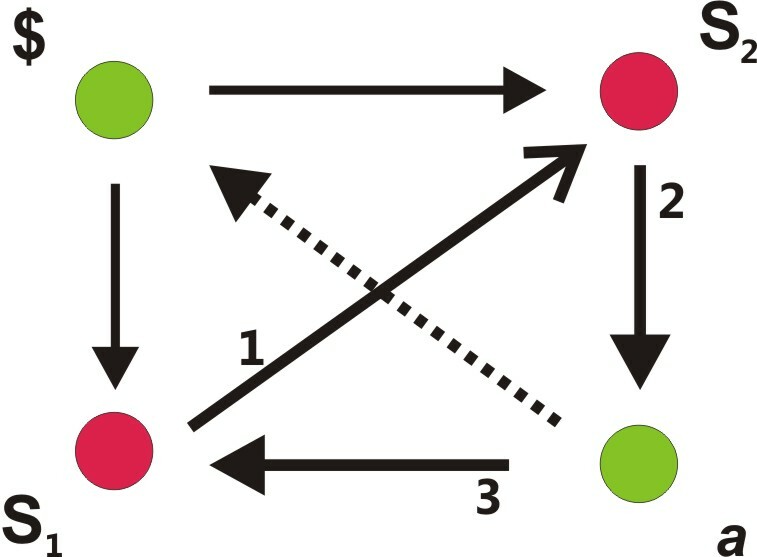 The other three correspond to sophisticated forms of the dependent, fight-flight and pairing basic assumptions. Next article What is happening to ‘Boundaries’, ‘Authority’ and ‘Containment’?